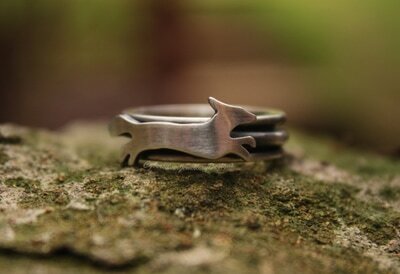 A fantastic fox silver ring - gorgeously chunky and entirely hand fabricated by me to my unique and original design. 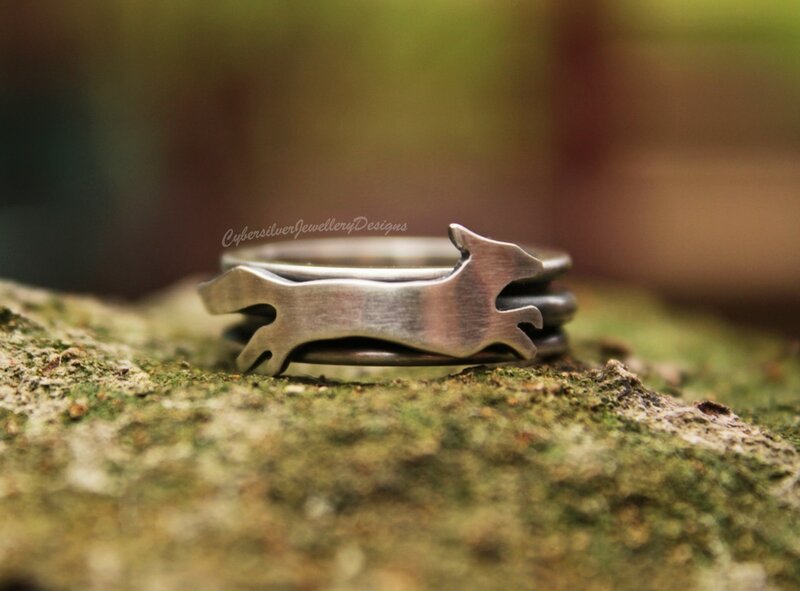 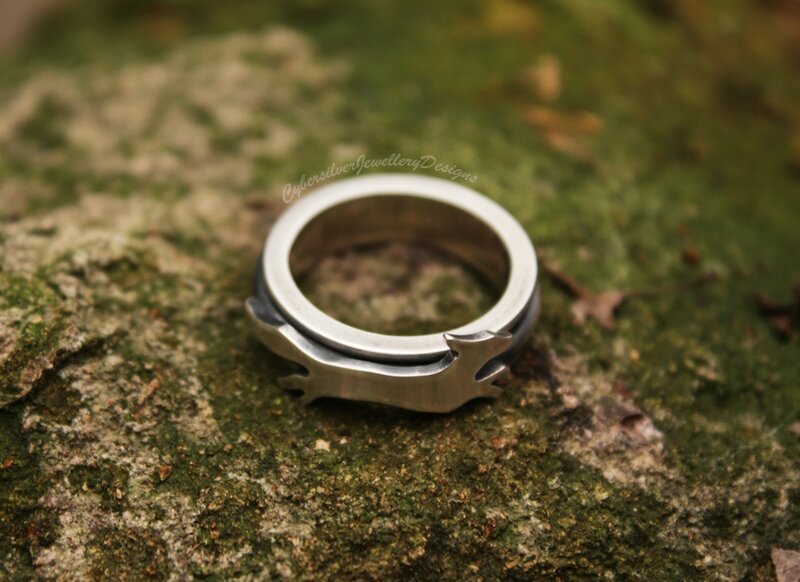 Each ring is created from thick sterling silver and features a prancing fox, each one lovingly hand cut and unique. 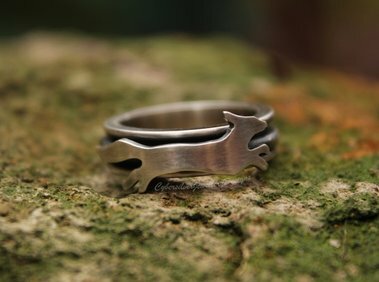 These rings are essentially four rings in one forged to create one ring - the fox ring spins all the way around the separate inner ring. 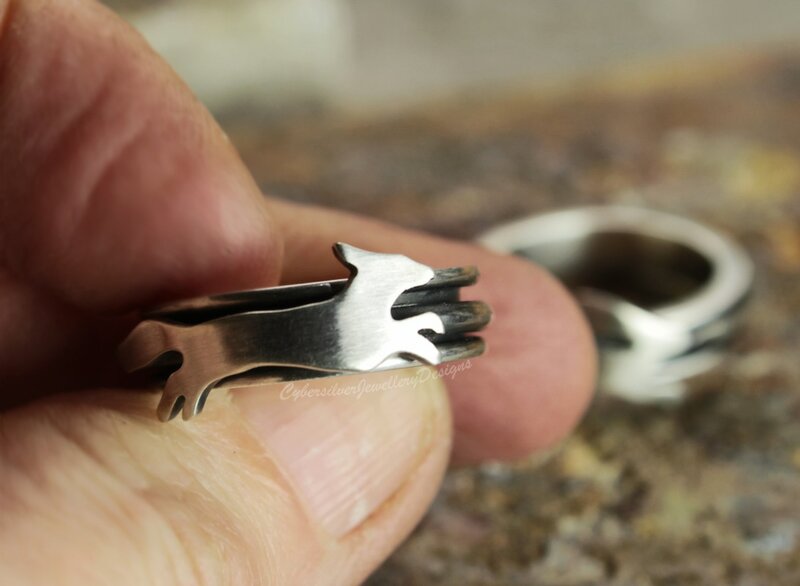 The silver has been lightly oxidised, brushed and then waxed with a microcrystalline wax to help protect the oxidised surface. Please allow up to 15 working days for completion of your ring.